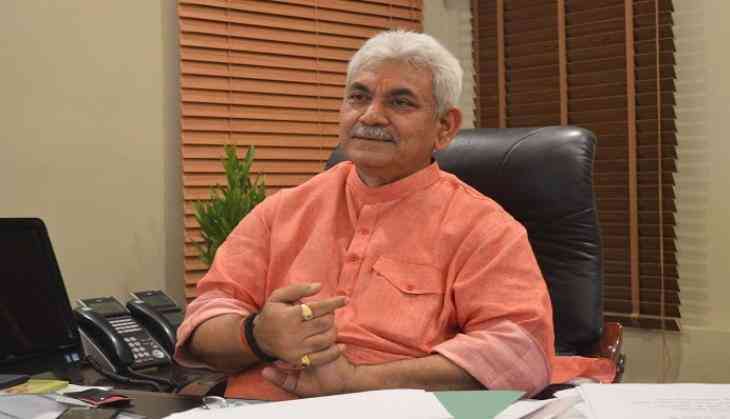 Amid speculations that he may be given the charge of Uttar Pradesh, Minister of state for Railways Manoj Sinha on Friday said neither he is in the race to become the Chief Minister nor does he know of any such race. 'Neither I am in the race (for UP CM) nor do I know of any such race,' Sinha told the media. Following the BJP's stupendous success in the just-concluded assembly polls, Sinha has emerged as one of the possible candidates for the chief minister's post in Uttar Pradesh. While a section of the party is confident that Sinha's name will be announced after the meeting of the newly-elected party MLAs, the Bharatiya Janata Party leadership, however, has not spelt out its choice. The swearing-in ceremony of the new Uttar Pradesh Chief Minister will be held at Lucknow's Smriti Upwan on March 19. Prime Minister Narendra Modi and BJP president Amit Shah will attend the ceremony. The party insiders said the next Chief Minister's name will be announced on Saturday after the Legislative Party meeting in Lucknow. The BJP-plus, which won 325 seats in the 403-member Uttar Pradesh Assembly, will meet at 5 pm on Saturday to pick the next Chief Minister.